It’s more than travel trailers – it’s friendships! 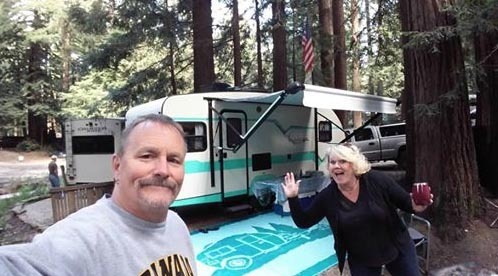 Travel trailer camping gives you a chance to obsess about gear, features, floor plans, tow vehicles – and more… But one of the real joys of camping is much more rewarding. It’s the chance you have to meet new people and make new friends along the way. Maybe it’s not surprising that friendship is a big part of camping. After all, when you’re camping you leave behind so many barriers that stand between you and others. Instead, the camping world is one of shared experiences and common interests. Camping lets you share the beauty of our world, the extremes of nature, and a back-to-basics lifestyle with the campers you meet. Whether you get together at sundown in the glow of a campfire, or around a borrowed jigsaw puzzle on a rainy day, camping gives you a way to share simple pleasures with others. Need help backing into your site? Someone you’ve never met before WILL be there to help. Want to know the best bait for your son’s first time fishing? Expert opinions abound. And the FOOD! Simple meals become feasts, and everything tastes better when it’s shared with others. Burn a hot dog? No problem! Your new ‘best friend’ LIKES them that way. Wish you had a charcoal grill? Look – Two campsites away there’s charcoal glowing, room on the grill, and a new friend. For these and countless other reasons, it’s no wonder you can’t wait to leave the real world behind, hitch up your trailer, and escape – to the REAL world. We’ll see you out there! (THANKS for the friendly hello from Rich & Sherry V., Vintage Cruiser owners and members of “The Vintage Cruisers” on Facebook – Check it out! This entry was posted in News on April 12, 2019 by pcampbell@gulfstreamcoach.com. When you start shopping for a travel trailer, you’ll learn that there are two basic types of construction to consider. Each has advantages, and each has a history of satisfying countless trailer campers over many years. That said, what are the key differences and advantages? 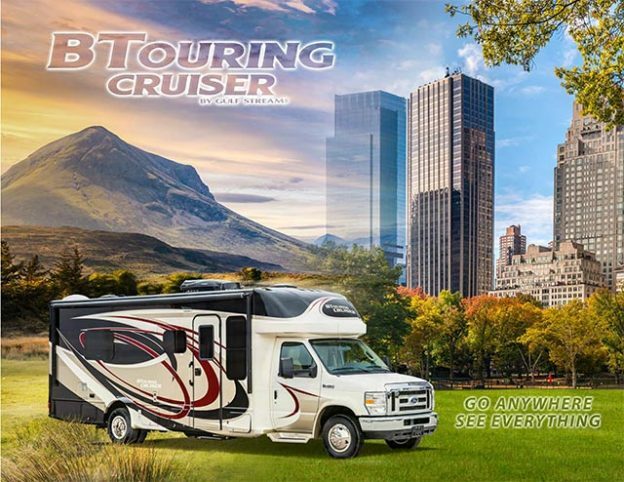 And as someone looking for a travel trailer, which is the right choice for you? Conventional construction (here are some examples) is the tried-and-true industry standard since the first mass-produced travel trailers. It uses construction features adapted from residential construction. Walls have upright wood studs 13″ to 16″ on center. Floors have wooden joists, and ceilings have wooden rafters. Aluminum siding covers exterior walls and wall insulation is familiar spun fiberglass. Inside walls are rigid panels covered with vinyl. Instead of shingles, a seamless synthetic membrane covers the roof, and an electroplated steel frame replaces a traditional foundation. Laminated construction (here are examples) builds a skeleton of welded square-tube aluminum instead of wood studs. Instead of spun fiberglass, closed-cell rigid foam insulation fills the frame, and exterior walls are sheets of fiberglass. Laminated construction uses robotically applied glues to join all the layers of the wall. A vacuum chamber then bonds the layers together into a single solid panel. Conventional construction has the key advantages of being less expensive, simpler, and easier to repair. 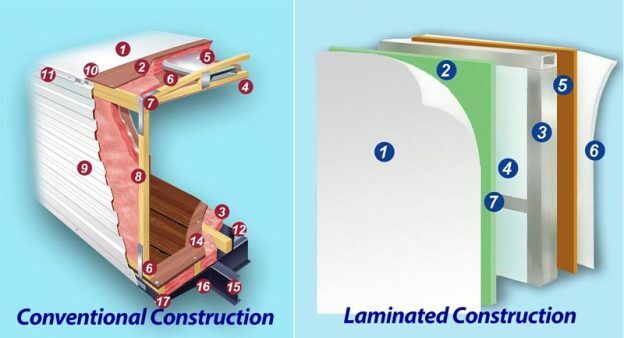 The big advantages of laminated construction are its light weight, stiffness, and easy cleanup. Of course, there are variations on the basics described above, and much more to the story of both methods. You can find diagrams and explanations of our construction right here on the Gulf Stream Web Site. Here’s a good starting point for more information. This entry was posted in News on April 8, 2019 by pcampbell@gulfstreamcoach.com.